The television, rather, the idiot box as it has been called for decades, has been a major source of entertainment and the media for information in our lives. So much so that it has become an integral part of our life. You reach home and it would be a horror to find it missing from it’s corner. It has made a couch potatoes out of many. And it has also inspired people when it beamed the first step by a man on the moon. Television has seen its fair share of innovations. Right from the black and white picture tubes to the latest LED screens beaming motion in 3D, they never fail to mesmerize us. The quality of transmission and display resolutions have refined to such an extent, that the boundaries between the real and the broadcast have gone thin. So much is the emphasis on quality and viewer experience, that we tend to forget some truths when we buy one. And in current times, the myth about the LED TV is leaving us duped. Rear projection CRTs were the thing during the 90’s. Getting a bigger one was the symbol of status in those days. But a big TV presented some space utilization problem. The back side, which was of no use to the viewer, hogged up lots of premium space. And the curved screens did not provide any worthwhile experience. Manufacturers in those days, came out with some gimmick called as “Flat Screen”. The front screen would be a flat glass, but if you looked carefully, the front glass was just a filter glass with no specific use for display purpose while the inner display screen was as curved as ever. Lots of people fell for it. Then to reduce the back space utilization, they came out with something called as the “Slim TV”. While using some extra focusing coils(that was too much technical), they managed to bring the rear projection coil nearer to the display screen, while keeping the picture sharp at the corner. Flat or slim, rear projection had run out of steam. 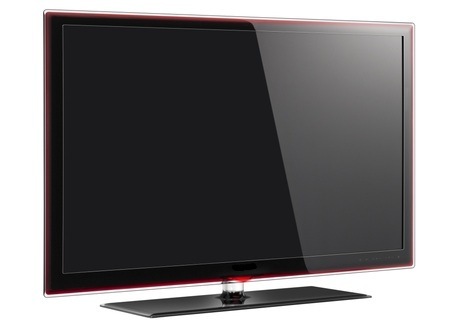 While manufacturers were trimming the dimensions, Plasma displays had already entered the market, and though not a huge hit, they paved the road for the current generation LCD and LED TV. LCD TV, as the name suggests, uses the Liquid Crystal Display technology to reduce the screen to a thin panel, not wider than 10 cms in most cases. LED TV, as per the name, is supposed to use Light Emitting Diode technology in the screens. These screens are supposed to have a great colour reproduction, better brightness and longer life compared to LCD. Note the use of the word “supposed to” in the previous sentences. That’s because, what is marketed so openly is not entirely the truth. LED TVs, sold under that name, are not LED TVs at all. They are purely LCD TVs with some LED technology used, which the manufacturers and retailers find as the outright license to sell those TVs under LED banner. Let me explain. But before I start, let me clarify that there is only one manufacturer who has made some kind of breakthrough in OLED TV. But the prices will be astronomical. LCD screens have two components. The screen for displaying the scene. But the LCD screen is incapable of illuminating. It requires some external source of illumination. Hence the second component, CCFLs(cold cathode florescent lamps) are used to provide the backlight. But these lamps have a disadvantage. It is not capable of emitting bright light evenly, for a longer period of time. It is big in size and though the LCD panel and circuit board takes minimal space, the CCFLs require larger space, hence the 10 cm thickness. So manufacturers needed shift to a more efficient form of illumination. LED, which have a longer life, better illumination power, and consume less light, were found to be the obvious alternatives. And, them being very small, was an added advantage. So manufacturers moved towards LED as the source of illumination, without giving much thought to the development of actual LED screens. Organic LED(OLED)s are able to self illuminate, hence they will do away with the necessity of external source for that. If you want to compare LED with LCD screens, check out the AMOLED screens on various mobiles available, against those with LCD screens. Using LED backlit has given a good boost to the picture quality as compared to LCD screens. The power consumption and the space utilization has reduced. The contrast in the picture is much better. The only negating factor is the price. Though LED illumination is not so new, the manufacturers ask for a huge premium for a small improvement in picture quality. Though the quality has improved, it is nowhere compared to the display quality which the OLED phones have, hence the extra premium and the false branding of the product is not justified. With the manufacturing cost coming down due to large scale production, the benefits should be passed on to the customers. But then, the manufacturers have established themselves to make profits out of occasions. So its up to us to decide what we actually need. So, before you buy that LED TV, think, compare, and decide whether you want to pay the extra bucks for some gimmick. 3 years back had visited an audio video expo at Bombay Exhibition Centre (Nesco) goregaon and there I saw an actual OLED TV , just abt 12 inches or so in diameter . But the resolution , picture clarity , brightness and contrast ratios were to be seen to be believed .and the thickness literally the thickness of a credit card. get to hear of some models being launched commercially.And we have Amoled displays and Super Amoled displays in the pipeline !!! Amoled and super amoled displays are treat for eyes. but they have a problem of element burnout(a phenomenon wherein the picture element, or the pixel burns out due to being in continuous “on” state, hence very unsuitable for use in mobiles. I am facing this problem now, though not so severe, only in a top 3 mm of the screen.). I hope they come out with the solution for televisions, else the static images of the channel provider will burnout on the screen permenantly..